Both the Moduleo and Karndean brand names speak for themselves. Luxury vinyl tiles, LVT’s have made a massive impact on the flooring industry over the past decade, due to their durability, innovative designs and versatility. 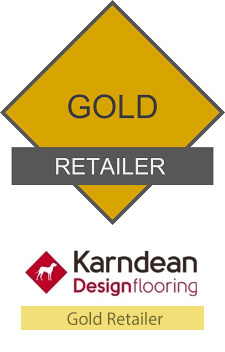 Here at Carpet and Flooring Farnborough, we are proud to be one of very few flooring showrooms who have the full complement of display stands and samples from Moduleo and Karndean as well as being a preferred Gold retail partner.